The company noted Tuesday that the federal Agency for Toxic Substances and Disease Registry now says it is not an immediate threat or an emergency. 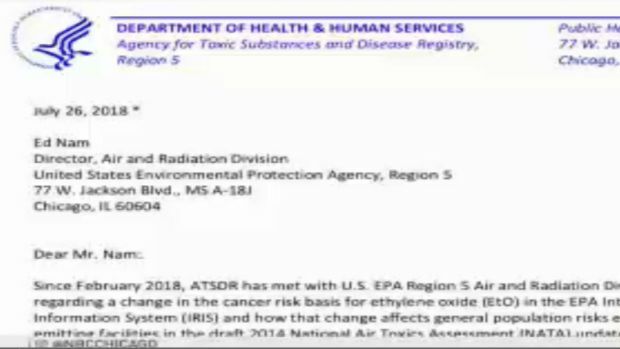 A federal report released among the Willowbrook community last week, sparked concerns among residents after it revealed hazardous emissions were coming from Sterigenics — a 30-year-old company that provides sterilization for medical and food industries. Residents in Willowbrook are not only worried the air quality could be dangerous, their also questioning if it could potentially be life-threatening. “I am concerned about it because if it is something in the air coming this way, do we keep our windows open…do we need to keep them closed?” inquired Andrea Vachata, a resident who lives near the facility. A potential health hazard for the village of Willowbrook as residents were notified of high levels of a hazardous gas being released in the area. Village leaders are now trying to figure out what can be done to keep people safe. NBC 5's Christian Farr has the details. Mayor Frank Trilla said “we had no pre-warning, no education,” in terms of what exactly they were supposed to tell the community. The report forced the mayor and other local lawmakers, including State Sen. John Curran, to take action and warn residents about the concerns. Village officials sat down with representatives of Sterigenics Monday to discuss some options on how to move forward with the matter. “We need answers to the serious public health and safety concerns this report poses to the residents of Willowbrook,” said Curran. 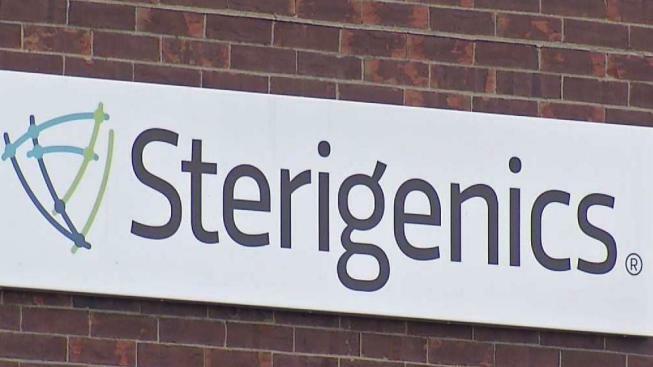 The Sterigenics company released a statement questioning the data set used by the federal government. Willowbrook officials—including representatives from the U.S. EPA, ASTDR agency, the Illinois EPA and the DuPage Heath Department—plan to hold a public meeting Wednesday at 7p.m. in Ashton Place to address concerns and answer questions.